Hope you all had a wonderful Thanksgiving! 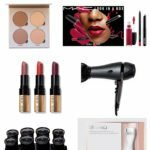 Today, I’m rounding up the best Nordstrom Black Friday beauty deals and holiday sets! I know a lot of people think of Sephora and Ulta when it comes to Black Friday beauty deals, but Nordstrom always has some lovely gift sets that are of great value, too! And I never miss an opp to build up even more rewards. Here’s a peek at what I’m eyeing from the best Nordstrom Black Friday beauty deals. Scroll to the bottom as I’m including a few others from around the web + an insider tip!!!! This pretty palette $213 value is just $59 and full of gorgeous everyday colors! Are you exercising your facial muscles? I use a facial roller to help smooth out wrinkles; this rose quartz set ($60 value) is a great gift idea and good starter set! These little lipsticks are oh-so-cute and moisturizing. It’s a $116 value and a great buy at under $50. I love the Drybar dry shampoo; this set of full-size faves is a $72 value and priced under $50. They also have this set, which includes the blow dryer, with an almost $100 savings!! You can never go wrong with Chanel; this Chanel gift set includes a body lotion and perfume. This Too Faced set is one of the best values on this list! It’s worth $230 and priced right under $50 and includes three gorgeous palettes + mascara! Perk up your peepers with this Beauty Bio set, which comes with a cute eye mask and cooling eye gels to de-puff. I love the holidays to try new products or roundup a few faves for a great value! This Sunday Riley kit is valued at $235 and comes with 6 favorites. It’s limited-edition so get it before it sells out! I love the Aerin Lauder perfumes and the bottles are just as gorgeous. This AERIN Beauty set is a great starter for yourself or gift idea. I couldn’t let this one go, this Anastasia palette is so gorgeous and comes with a free gift with purchase! I’m sure it’s one of the hottest beauty items this Christmas! I’m a sucker for a beautiful eye palette, can you tell?! 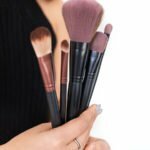 This one comes in a warm and cool tone palette, and is under $40! You can never go wrong with Moroccan oil. This set is a great beauty buy for yourself of someone on your wish list this year! It’s a $62 value priced under $50. A couple of my other favorites from around the web real quick!!!! Tata Harper has 20% off the entire site. BUT, the trick is to get a gift set (which is already discounted) and then the additional 20% off for great savings! I love the regenerating cleanser and the resurfacing mask. If I bought separately, it would be $144. With the value set PLUS the additional 20% off, it comes down to under $100 for both!!! Sephora is discounting Tarte palettes to $15 on Cyber Monday!! Set your alarm clocks! 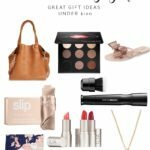 What are your favorite Nordstrom Black Friday beauty deals or Sephora Black Friday beauty deals you’re snagging?